On the morning of November 28, 2002, Al-Qaeda launched coordinated attacks in Mombassa, Kenya against the Israeli-owned Paradise Hotel and an Israeli passenger jet. The near simultaneous attacks involved Al-Qaeda operatives supported by a local infrastructure. In the first attack, the terrorists fired two SA-7 surface-to-air missiles at a departing Israeli Arkia charter Boeing 757 passenger aircraft, carrying 261 passengers and crew, both missiles missed. The second occurred twenty minutes later, when an explosives-laden vehicle driven by two suicide attackers, blew up in front of the Israeli-owned Paradise Hotel. The attack was timed just as the hotel’s Israeli guests arrived—having traveled aboard the same Arkia plane that had embarked on the return flight to Israel. As a result of the Paradise Hotel attack, 15 people were killed (12 Kenyan nationals and three Israeli tourists) and approximately 80 other people were injured. This was the first Al Qaeda's attack specifically directed against Israeli overseas targets. In reaction to the attack, then-Prime Minister Ariel Sharon stated, “Our long arm will get those who carried out the terror attacks. No one will be forgiven". Benjamin Netanyahu, the Israeli foreign minister the time, said, “It's just a question of time before they'll (terrorists) down civilian aircraft. And may I say, it always begins with Israel, it never ends with Israel. So this is not just our battle, it's a common battle against this global terror network”. The Israeli Defense minister, Shaul Mofaz declared on December 2, 2002, that he suspected Al Qaeda was behind the attack, although there was no tangible evidence at that point. Prior the attack, Israel has received general vague information that al-Qaeda was conducting reconnaissance missions in Kenya in order to carry out terrorist attacks, with no specific details regarding the identity of the target, location or timing. The general information was not indicative to define any concrete threat to Israeli targets. The general nature of the information which was based on undefined questionable sources was not enough to match the Israeli intelligence community criteria to issue an alert. 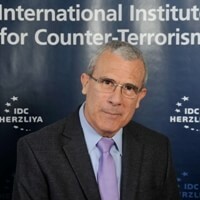 A former head of the Mossad, Danny Yatom has noted that Israel received so many terror warnings in the past that most of them were proved to be not serious. Yatom added that:" "It's very, very hard... to relate to specific information unless it's very clear and defined and the source is reliable." Intelligence and reliability of sources was and still is a major and vital factor in countering terrorism and a major component for any active or passive operational measures to meet the challenge of thwarting it. Stella Rimington, a former head of MI-5 metaphorically described intelligence work as comparable to "the unraveling of a knotted skein of wool. You get hold of an end and you have to follow it through until you are near enough to the heart of the knot to see what it consists of". Up until the Mombassa attack, there was no clear internal Israeli definition which of the intelligence agencies had the leading role and supreme responsibility regarding the evolving threat of potential Al Qaeda attacks on Israeli targets outside of its borders. The global Jihad threat was not considered by Israel an immediate threat to Israeli interests overseas and as such, the main focus of the Israeli concerns were within the protective measures of the Israeli Internal Security Agency (Shabak), responsible for securing Israeli and Jewish overseas representations. It is worth mentioning that from September 2000 (the outbreak of the Palestinian second Intifadah) until the Mombassa attack, the Israeli intelligence efforts were focused mainly on the Israeli-Palestinian violent conflict that was mainly characterized by the phenomenon of suicide attacks in Israeli cities. The security on the home front was a major factor in dictating the priorities of Israeli intelligence and security policy. The defining aspect of the Mombassa attacks—which came as surprise to Israel—represented a watershed moment that obliged the Israeli government to adjust its existing agencies and capacities to address the new emerging threat. The Israeli intelligence community had to allocate money and personnel, as well as redefine its HUMINT, SIGINT OSINT coverage, broaden international intelligence cooperation, set up new priorities, working plans, methodologies, and engage adaptive structural changes and synchronization within the chain of responsibilities. The Mombassa attack shifted the methodology of Israeli counter terrorism policies regarding Al Qaeda from solely passive protective measures towards a more pro active and preemptive approach concerning dismantling potential Al Qaeda cells and threats on Israeli targets overseas. Within the global war on terrorism, the Mombassa attack compelled Israel's counterterrorism operations to develop intelligence-led operations to proactively target support networks and operational cells throughout the world. During the years to follow the Mombassa attack, the Israeli Mossad "has improved dramatically its intelligence penetration into global Jihad networks conspiring to attack Israeli targets overseas and has carried out successful covert special operations in thwarting planed attacks. These activities were highly classified and never took place in public view ". Intelligence and operational capabilities needed to evolve and meet the global Jihad new threats with a broader focus, from the "near enemy" (the Israeli-Palestinian conflict and cross border terrorism threats posed by other terror groups), to the "far enemy"(posed by Al Qaeda and its affiliated global Jihad groups). Al-Qaeda officially claimed responsibility for the attack six days after the fact in a statement broadcast by the Qatari-based al-Jazeera television channel. The attacks conformed to the pattern of many post-9/11 al-Qaeda operations: against soft targets ranging from tourist resorts, nightclubs, synagogues, to hotels and public transportation. In this manner, Al -Qaeda seemed to be demonstrating its ability to strike wherever and whenever it wished, as long as the operational capability was available-preferably against less-protected and more accessible ones. The group was also intent on selecting venues that would have a particularly high potential for economic disruption (in this case, international tourism), alongside the searing psychological impact of mass casualty suicide attacks. The soft targets and economic oriented strategy was encapsulated within Al-Qaeda’s “Economic Jihad” doctrine as published by Salem Al- Maki on Al-Qaeda affiliated web sites several days after the strike on the Limburg oil tanker in October of 2002. The author, apparently accessible to Al-Qaeda inner circles stated that within the framework of Al- Qaeda led Jihad, one of its objectives was to inflict strategic economic damage. In this connection, it was emphasized and confirmed that the attack against the World Trade Center (September 2001) and the French oil tanker (October 2002) and other strikes were within the framework and part of the economic Jihad concept. Fazul Abdullah Mohammad (alias Abdul Karim), orchestrated the attack and was the Mombassa network leader. Fazul was not an obscure unknown person, he has been indicted by a U.S. court in connection to the 1998 Al-Qaeda bombings of the U.S. embassies in Nairobi and Tanzania and was on the international watch list ever since. Fazul origin is from the Comoros Islands off East Africa, where he attended a Wahhabi madrassa (religious school) and, at the age of sixteen, received a scholarship to study at a Wahhabi madrassa in Pakistan, where "Islamic militancy and military training were emphasized far more than religious scholarship". From Pakistan he went to Afghanistan, to join the Al Qaeda terrorist network and later to become the leader of Al-Qaeda’s network in East Africa. During the early 1990s he moved to Nairobi, Kenya and in 1994 became the secretary of Wadih el Hage, a top Bin Laden lieutenant who worked under the cover of a Muslim charity organization. In late 2001 Fazul traveled to Monrovia, Liberia, with another suspect in the embassy bombings, Ahmed Khalfan Ghailani. In 2002 it was reported that the "two men allegedly ran a lucrative Al-Qaeda financing operation, trading illegal diamonds for cash". On July 12, 2002, four and a half months before the Mombassa attack, Fazul (already designated as wanted international terrorist) was arrested in Nairobi with Saleh Ali Nabhan for using forged credit cards. Fazul managed to fool the police and to escape shortly after his arrest. In August 2002, Fazul infiltrated back into Kenya and began to organize the Mombassa Paradise hotel attack. Using the alias Abdul Karim, he spent much of the time before the attack at the local Al-Qaeda collaborators’ farmhouse, which served as the base of operation for the attack. A few days prior to the attack, upon completion of necessary operational preparations, Fazul fled back to Somalia. A 2003 draft report by the United Nations established that the terrorists involved in the Mombassa attack had received training and weapons in Somalia and that the perpetrators had fled back into Somalia after the attack. In August 2003, Fazul barely escaped arrest when his Kenyan host blew himself up with a hand grenade in the old city of Mombassa, preventing the Kenyan police from catching Fazul. Again, in October 2003 he evaded arrest, arriving two hours late to a meting with a former colleague who had cut a deal with the Kenyan authorities and became a police informant. In May of 2004, the FBI and the Department of Homeland Security included Fazul (together with other Al Qaeda fugitives) on its alert list, but by then he had temporarily disappeared from his pursuers. On 7 January 2007, after the Ethiopian-Somali war ended, the U.S. carried out an air strike in Somalia, to kill Fazul, but he again managed to escape unharmed. The Mombassa attacks were planned as two independent synchronized operations. The plotters were innovative in their use of sea routes both to smuggle the weapons and explosives into Kenya and facilitate their own infiltration and escape. The Al-Qaeda attack team had actually first gathered in Mogadishu some two years earlier to plan the attacks. In December 2001, reconnaissance of potential targets in Kenya began and by April 2002 a short-list had been drawn up. Meanwhile, beginning in that same month and lasting until August 2002, Al-Qaeda team members held meetings in Mogadishu for continued indoctrination and specific weapons training in the use of pistols, AK-47 rifles, and hand grenades. Upon completion of these preparations, the team relocated to Mombassa in late august 2002 to safe houses provided by local Kenyan collaborators of Al-Qaeda's top regional operative, Fazul. The preparations also included the smuggling shoulder-launched SA-7B missiles (shipped from Yemen to Somalia and then smuggled into Kenya in August 2002), and explosives bought in Somalia and smuggled into Kenya. On November 20, 2002, Omar Said Omar received 20,000 Kenyan Shillings from Issa Osman Issa to purchase the boat from Lamu Island and to rent a safe house for use immediately after the attack. One day before the attack, Omar called Issa on his cell phone to report that all of the preparations for the escape had been completed. Financing for the operation was funneled through Tariq Abdullah (a.k.a. Abu Talha al-Sudani), a Sudanese national and Al-Qaeda member who operated between Somalia and the UAE. Abu Talha al-Sudani has been a senior Al-Qaeda figure in East Africa since early 1990s and was implicated in the 1998 bombings of the United States Embassies in Dar es Salaam, Tanzania, and Nairobi, Kenya. The attack in Mombassa was clearly intended to cause mass casualties as it was also innovative, entailing a multi-dimensional synchronized operation, comprised of three types of operational aspects: a land-based suicide operation; an aviation attack employing surface-to-air missiles, and the use of the sea-borne dhows for infiltration and escape. Five perpetrators carried out the attacks divided into two sub-groups under Fazul Abdullah’s supervision. The first group charged with executing the suicide attack on the Paradise hotel, included Fumo Muhammad Fumo and Harun Abdisheikh Bamusa, two local Kenyan Al-Qaeda recruits who had taken part in the 1998 bombing of the American embassy in Nairobi. The Second, the aircraft assault group comprised of three perpetrators: Issa Osman Issa, Saleh Ali Saleh Nabhan and Abdul Malik. Issa and Nabhan were both senior Al-Qaeda operatives in East Africa who had been indicted in U.S. federal court in connection with the aforementioned 1998 Nairobi embassy bombing. The third perpetrator, Abdul Malik was also a senior Al-Qaeda operative based in East Africa. On the morning of November 28th, while a group of Israeli tourists had just arrived to the lobby of Paradise hotel in the town of Kikambala, Fumo Mohamad Fumo, and Harun Abdisheikh Bamusa launched the suicide attack. One of them blew himself up at the hotel's entrance while the second suicide bomber, drove a Mitsubishi Pajero loaded with 200 kg of explosives enhanced by gas canisters and containers of fuel, crashed into a wall of the hotel, exploding instantaneously. The blast killed 15 people and destroyed the hotel. The second-hand sport utility vehicle used in the attack had been purchased by Saleh Ali Nabhan, a member of the aircraft assault group. The explosive device was assembled in a farmhouse on the outskirts of Mombassa, under the direct and personal supervision of Fazul Abdullah Mohammad. Two days prior to the attack on 26 November, Fazul had visited and briefed the suicide bombers. The ensuing Kenyan police investigation established that the suicide attackers had in their possession a 7.62 mm caliber MpiKM assault rifle (an East Germany version of the AK-47 assault rifle), and a 7.62 mm caliber Tokarev pistol S/No. CC33238 manufactured in the former Soviet Union. This fact is an exception, as it is known from past experience from other regions where the suicide bombers' operational tactic being used, suicide bombers who were sent with the intent to blow up while detonating explosives, were not dispatched to the mission with arms. This fact may be explained in two possible venues: One possible venue of explanation may suggest that the suicide attackers' had prepared a contingency plan for a possibility that in case of a technical malfunction in the explosive charge, they would have continued their mission while carrying out a shooting attack. The second option might have been a more prosaic one; as terrorists that might need to use guns for their own personal protection or escape from any confrontation with security forces. The weapons were regularly stored in the car all along the preparation stages and during the attack. Almost simultaneously the second team, three local Kenyan nationals, Issa Osman Issa, Abd Al Malik and Saleh Ali Nabhan  - (who in the preparatory stage have purchased the blue Pajero used in the suicide attack,), were positioned at the end of the Mombassa International Airport runway, fired two anti-aircraft shoulder-missiles toward the Arkia airliner carrying 261 passengers as it took off. Although the planning and the surveillance work of the Airport in Mombassa were performed personally by Fazul Abdullah, the missile attack as executed was a complete failure. MANPADS (Man Portable Air Defense System) are a cheap, widely proliferated weapon among terror organizations (FARC, Hezbollah, PKK) and state sponsors of terrorism. MANPADS are easy to use and conceal, and pose a potentially lethal threat to all classes of aircraft. Al-Qaeda demonstrated for the first time its operational strategy and capability to target a vulnerable civilian plane from a distant point on the ground. During the investigation, one on the key questions and concerns within the international intelligence community was to trace the source of the MANPADS which might lead to the trail and sources of supply to Al Qaeda. The MANPADS used in the attack were Strela-2/2M(SAM 7) missiles, serial number (9M32M, 04-78,041033,04-78) from a batch of weapons manufactured in 1973. The investigation established that the missiles' source was traced in Saudi Arabia from the same series and production line of missile remains which were found at Prince Sultan Air Base in May 2002, probably indented to be fired at an American military plane. It remains unclear why the two missiles failed to hit their target, although investigators cite several possibilities. One is that the angle from which they were fired or the low altitude that the airliner had was short for the missiles to charge its devise. Another possibility is that the infrared seeker was faulty and failed to acquire the target. A third is that the target acquisition system could also have been outdated, or there was a fault in the missile's propulsion system. Of course the attack could also have failed due to operator ineptitude or inexperience. It's worth noting that this attack was the first time that Al Qaeda employed MANPADS, and that it represents a turning point regarding future Al Qaeda operational threats. During the investigation of Omar Said Omar, a local Kenyan Al-Qaeda operative, who undertook the escape preparations for the terrorists from Kenya back to Somalia, it was confirmed that after the attacks, the terrorists regrouped in Lamu Island harbor, returning to Somalia by boat. According to Omars' knowledge, Fazul's choice of Lamu Island was not accidental, as from this isolated, largely Muslim coastal region, the perpetrators could slip away easily by boat toward the Persian Gulf or across the border into Somalia. Omar Said Omar recounted that right after the morning attack, at approximately 10 a.m., Issa Osman Issa called him through the cellular phone to inform him that the operation was over. Later that afternoon, Fazul contacted Omar to check if Issa Osman Issa, Saleh Nabhan, and Abdul Malik (the missile attack team) had arrived safely to Lamu Island. On November 29 the group escaped successfully back to Somalia. Saleh Ali Nabhan, Issa Osman Issa and Abdul Malik, managed to escape successfully from the scene to a rented safe hose in Lamu on the Kenyan coast, and on the next day they infiltrated back by sea into Somalia. Saleh Ali Nabhan joined the Shabaab Al Mujahideen organization in Somalia,  and was added to the wanted list of the FBI in connection with the 2002 attacks in Mombassa. In March 2008, Nabhan was a targeted by US Navy fired Tomahawk missiles at a village in southern Somalia where he was believed to be, this followed similar strikes in 2007 from which he have managed to escape. In 2008, Nabhan released a recorded message inciting jihad from Somalia proving his escape from the attack and his continues active involvement in terrorism. After an international long pursuit and almost seven years after the Mombassa attack, on 14 September 2009, Saleh Ali Saleh Nabhan was killed in an American special operation. Airborne U.S. Special Operations forces attacked a convoy carrying suspected al Qaeda targets, near the southern coastal town Barawe, killing and capturing the body of one of most wanted Al Qaeda's terrorist in East Africa. Nabhan was directly involved in the killing of 238 and hundreds of wounded in the 1998 bombings of the U.S. embassies in Kenya and Tanzania and the 2002 Mombassa attack. Issa Osman Issa also maintained contact with the radical group Shabaab al Mujahideen organization and commanded a Council of Islamic Courts militia near the interim capital of Baidoa. Abdul Malik was finally apprehended on 17 February 2007, by Kenyan Anti Terrorism Police Unit (ATPU) in Mombassa and on March 27 2007 he was handed over to American investigators, who transferred him to Guantanamo Bay, Cuba. Until June 11, 2011 Fazul Abdullah -Al Qaeda's mastermind- was still at large. The terrorist network involved in the two attacks utilized the Internet; satellite phones, cellular communications and in addition, the Mombassa conspirators used e-mail addresses for communicating amongst themselves for reconnaissance and surveillance operations in Kenya. These means of communications, known to be less monitored or supervised were presumably considered by the network to be relatively safe. The network members used cell phone numbers, generic or widely available, publicly accessible, e-mail accounts to communicate with one another, allowing the internet to replace face to face contact. The Kenyan cellular forensic investigation accompanied with the Israeli Mossad tactical advanced technologies and capabilities, enabled to reconstruct the operational stages and timeline of the attack, identify Al Qaeda's cell members and collaborators, as operational intelligence to engage pursuit and hunt the escaping perpetrators who were at that time still at large. During the preparation phase and during the attacks, the perpetrators used cellular phones as the primary method of communication. The attackers implemented code words during their phone communications incase their conversations were being monitored. Code words included; RAIN, for all is well; DRY, indicating a lot of police operations, or tight security; NJULUKU, for money; WEDDING, as attack on targets; and GUEST, for visitors. It's worth mentioning that in past events, Palestinian terror organizations have also used the code WEDDING for terror attacks in their communications. The group also used primitive code numbers on phone numbers to hide real numbers. After the November 28 attack, Kenyan police used forensic cellular analysis methods, which established that Omar Said Omar was the subscriber and user of mobile telephone number 0722-610837 from early 2002 when planning of the terrorist attacks was first undertaken. In January 2002, during the preparatory stages of the attack, Omar Said Omar purchased a prepaid cellular card at the local post office in the Kwale district in Mombassa. After the arrest of Omar Said Omar on August 1, 2003, his residence was searched and two additional mobile phones were recovered. Further analysis of Omar Said Omar’s cellular communications established that during the month of November 2002 he conducted eight phone conversations with someone on a Somali landline in Mogadishu. Kenyan experts determined that this Somali land line was used as a central link of communication for the rest of the terror cell operatives who escaped after the attack and remained at large. Prior to the attack in Mombassa, the mobile phone used by Omar Said Omar placed calls to Sudan nine times and to Ethiopia one time during the month of November 2002. Omar Said Omar revealed during his interrogation that, as a member of the cell he was using his mobile to contact all other mobiles held and used by all other perpetrators in the weeks prior to the attack. (The Kenyan cellular forensic investigation corroborated this fact). On 28 November 2002, the day of the operation; Omar coordinated the separate assaults from his mobile phone. At 5:15 a.m., Omar was called by Saleh Ali Nabhan, a member of the airliner attack cell, and at 5:27 a.m., he called Saleh Ali Saleh Nabhan after Fumo Mohammad Fumo, one of the suicide bombers, had also called Nabhan. At 10:25 a.m., immediately after the bomb blast, Omar called Nabhan again. Omar confessed that he had left Mombassa for Lamu Island two days prior the attack, arranging accommodation and means of escape for the perpetrators back to Somalia. On November 29, one day after the attack, Omar switched off his mobile phone at approximately 11:51 p.m. when the escape back to Somalia has started. Through his cellular phone, Fazul Abdullah also communicated with a local Kenyan female, Fatuma Said Saggar, known to be the daughter of Said Saggar, another Al Qaeda local collaborator. Fatuma is married to Mustafa Mohammad Fadhil, an Egyptian national, and an Al-Qaeda terrorist wanted for the 1998 bombing of the U.S. embassy in Nairobi. Further analysis of landline belonging to the above mentioned Said Saggar, revealed communications with other Al-Qaeda perpetrators involved in the bombing, including: Issa Osman Issa; Saleh Ali Saleh Nabhan; and Fumo Mohammad Fumo. The investigation establish the fact that the network was comprised of 13 people (five attackers and eight local collaborators) who were operated and directed by Fazul Abdullah, a top Al-Qaeda operative in East Africa. The attackers as most of the local Kenyan collaborators were already involved in the 1998 US embassy bombing in Nairobi, motivated by Al-Qaeda ideology, with past professional terrorist operational experience. The network in Kenya was based on local Muslim supporters of Al-Qaeda, bonded by personal, family and matrimonial close ties between the entire group. 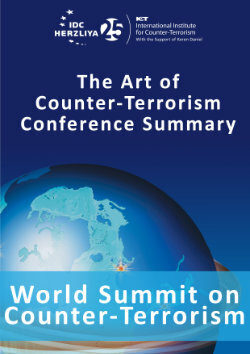 The group’s activities were funded by Al-Qaeda, and were under the direct command of Al-Qaeda regional command Fazul Abdullah who has led and supervised the execution of the attack.These individuals formed a “knowledge hub" of Al-Qaeda’s accumulative ideological and operational knowledge, acting as authorized respected influence agents, facilitating critical information, operational knowledge and world wide personal connections and channels of financing. The Al-Qaeda attackers were recruited and aided by individuals from the wider Muslim community in Mombassa. They were married to daughters of local collaborators and maintained active lives within a small community linked by marriage, emotional commitment, and the mutual obligation to fulfill the organization goals. On 23 June 2003 the Kenyan authority officially accused a group of 8 local Kenyan suspects of assisting the Mombassa Paradise attack on 28 November 2002. Three of the attackers, the MANPAS, and the explosives used in the attack were smuggled into Kenya from Somalia aboard a commercial fishing boat, to camouflage the nature of the content aboard ship and the intent of the operation. The maritime smuggling phase was led by local Al Qaeda collaborators using local dhows' owners who were acquainted with the naval routine and navigation skills in the region north from Lamu, one of Kenya's offshore islands. It was necessary for them to maneuver through a mangrove forest, carefully avoiding the rocks. Local dhows' owners are equitant with sea routes, naval commercial traffic, and blending unsuspicious into the maritime activity (which was probably already being monitored by international Task Force 150’s vessels that were deployed in the Gulf of Aden after 9/11 attacks). The advanced coordination and motivational meetings took place in a local Mosque in Mombassa and in residential houses. Fazul Abdullah's personal involvement as Al Qaeda Jihad leader was essential for its success mainly in the two critical phases: the requirement, in which the personal commitment and bonding was being established as a motivational factor (along side with radical Islamic ideology justifying Jihad). The second phase was adjacent to executing the attack, in which Fazul's airport surveillance data and operational instructions were presumably given to the missiles group accompanied with the leader's inspiration, motivation as a representative of the Al Qaeda leadership. The hotel suicide attack bore Al-Qaeda’s hallmarks: executed by two suicide terrorists who carried out their attack almost simultaneously while a separate team attempted to shoot down the Israeli Arkia airliner. The nature and identity of the selected targets fit Al-Qaeda’s global jihad ideology, as the group had declared war on Western and Israeli targets on a global scale. Al-Qaeda identified the targets in Kenya as suitable because they were soft, unprotected, and legitimate objects to be attacked. Al Qaeda also exploited the fact that Kenya, given its lax security, was unable to efficiently enforce its own laws. Kenya was also convenient as a staging point for the operation due to the presence of a local, supportive, radical Islamic infrastructure and network. Additionally, Kenya's costal area is inhabited by large Muslim community. Osama Bin Laden’s "Declaration of War against the Americans Occupying the Land of the Two Holy Places" as published in the London based Arabic newspaper “Al Quds Al Arabi” in 1996, and his sequel declaration from 23 February 1998 of establishing the “World Islamic Front for Jihad against Jews and Crusaders” laid the foundations and legitimized attacks against Americans and the Zionists as a constant doctrine for future would be attacks. But at the same time, the Mombassa attack reflected a change of emphasis; a shifting and evolving strategy adopted by Al-Qaeda after 9/11, which focused primarily on attacking soft targets which comprise high potential economic disruption, creating secondary economic impact and instability while maintaining increased emphasis on suicide strikes inflicting mass casualties. During the years after the Mombassa attack, both Bin Laden and Ayman Zawahiri emphasized in their statements the need to cause economic damages to the Western interests. In a 2004 statement, Bin Laden said that Muslims were called "to attack reinforcement lines and oil (pipe) lines, to sow powerful mines … and to assassinate the owners of companies aiding the needs of the enemy, whether in Riyadh, Kuwait, Jordan, Turkey, or other (countries)". In 2006, as a reaction to the published cartoons of the prophet Muhammad in Denmark, Zawahiri called to" cause damages to the Western Crusades through bleeding attacks… prevent the West from steeling Muslim oil-the big theft in history…conduct popular economic boycott against: Denmark, Norway, France, Germany and countries attacked and humiliated Islam and Muslims". The day after the attacks, a false statement was issued by an unknown organization, "Jaish Falastin" (The Army of Palestine), claiming responsibility for the attack in a printed leaflet in Arabic that appeared on Islamic web sites and was distributed to Western news agencies in Beirut. On 2 December 2002 the authentic Al-Qaeda claim of responsibility was published on a number of websites associated with the group under the name "Tanzim Qaedat al-Jihad - The Political Office". Al-Qaeda’s audio and written statement was posted in several websites that have carried Al-Qaeda statements in the past, and was then broadcast by the Qatari-based al-Jazeera television channel. Suleiman Abu Ghaith, Al-Qaeda’s formal spokesman, issued a statement of responsibility posted on an Islamic website affiliated with Al-Qaeda on the occasion of the Muslim holiday 'Eid al- Fiter. According to the statement, “The Jewish Crusader coalition will not be safe anywhere from the fighters' attacks." Abu Ghaith warned of more attacks on American and Israeli targets by land, air, and sea. "We will hit the most vital centers and we will strike against strategic operations with all possible means," Ghaith stated. In addition the message indicated that the attack was intended to smash the dreams of the Jewish-Crusader alliance, aimed at safeguarding the Muslim interests in the region, and to demonstrate to Muslims around the world the Mujahideen steadfastness to the Palestinian cause and protest against Israel’s occupation of the holy places. The focus of Al Qaeda's statement reiterated that its operatives were acting as agents of the Muslim Umma against the "Jews and Crusaders" while blurring the missile attack fiasco orchestrated by Al Qaeda's top leader in East Africa, Fazul. The statement "was providing the Mombassa operation justification that was all the more necessary because the attack had fallen so far short of its original goals". The territorial physical safe havens in Somalia and Kenya, the availability of electronic communication and maritime lawlessness were three key factors that contributed to Al-Qaeda’s operational success. Somalia and Kenya serve as safe havens in a region exploited by terrorists to indoctrinate, recruit, coalesce, train, and regroup followers, as well as to prepare and support their operations. Al-Qaeda’s return to a country where the organization had already carried out a terrorist attack – in this case, Kenya – stemmed from its assessment of the weakness of the local security forces, which failed to apprehend the members of the infrastructure network in 1998. While previously mentioned, it's worth noting that Al-Qaeda identified Kenya as a weak state in its handling of terrorism and the regime’s inability to efficiently enforce its own laws and as such, the organization exploited this situation to its advantage. According to a high ranking Kenyan police official, Al-Qaeda based its selection of Kenya as a convenient target on the presence of a local network, which functioned freely among the large Muslim community living in Mombassa and along the Kenyan sea shore. The attack also emphasized the lack of maritime security in the Horn of Africa, exploited by Al-Qaeda for smuggling, infiltration, and escape by boat, using the routes between Somalia and Kenya. The region in general and Kenya in particular has insufficient integrated command and control centers, early warning and intelligence capabilities and no maritime air surveillance and reconnaissance capability to monitor, deter or operationally engage infiltrations and cross border terrorism through the sea. Within Kenya the lack of a credible well trained indigenous maritime force with sufficient mobility, the flexibility and firepower necessary for sustainable operations and deterrence allows terrorists to operate with ease. The Mombassa attack highlighted the continuation of Al-Qaeda’s soft target strategy while introducing innovative operational trends in its top-down strategy after 9/11. The innovative operational-tactical trends were manifested in the attempt to gun down a civilian airliner from the ground, the cross-border sea infiltration of terror operatives and weapons and the first deliberately direct attack on Israeli targets. Three of the Mombassa attackers led by Fazul, already known as notorious Al Qaeda members, who were directly were involved in the 1998 embassies attacks, have been operating undisrupted, free to operate and conspire the November 2002 Mombassa attack. Although their identity was known and some of them were indicted in US court, local East African and international law enforcement and intelligence agencies headed by the USA efforts, were dormant to the future evolving threat posed by these individuals since 1998.According to the 9/11 commission, after the 1998 embassies bombings "although disruption efforts around the world had achieved some successes, the core of Bin Laden's organization remained intact". Al Qaeda has reintroduced the MANPDS as mode of operation and tactic to aviations threats. Although terror organizations have used MANPAS in past failed two attempts to gun down Israeli airliners in Rome and Nairobi in the mid seventies, the Mombassa attack was the first time, after a long period of three decades, when an attack was actually launched by a terror organization against Israeli plane. The assaults bore many of Al-Qaeda's trademarks: simultaneous well organized and coordinated attacks, which were based on good intelligence and precision timing, in a part of East Africa where Al-Qaeda previously operated. The attack was carried out by the same Al-Qaeda network involved in the 1998 attacks on U.S. embassies in Kenya and Tanzania and was one of the sophisticated terror attacks attempted to-date by Al Qaeda, despite the failed missile launch. CNN, “Israeli Report Links Kenya Terrorist to Al Qaeda” , 29 November 2002.See also Press Conference Foreign Minister Benjamin Netanyahu, Jerusalem, 28 November 2002, http://www.mfa.gov.il/MFA/Government/Speeches+by+Israeli+leaders/2002/Press+Conference+by+FM+Netanyahu-+Terror+attacks+i.htm. Ha’aretz, Israeli Daily News Paper, 2 December 2002. Fox News, “Simultaneous Attacks on Israeli Tourists in Kenya”. Stella Rimington, “Humint Begins at Home”, Wall Street Journal, January 3, 2005. Open sources intelligence, mainly Internet affiliated Jihad web sites and media. The author interview with a former top Mossad official. 14 September 2009. Financial Times, “Al-Qaeda Claims Responsibility for Kenya Attack”, 8 December 2002. USA Today, “U.N. : Al-Qaeda Terrorists Trained, Bough Weapons in Somalia”. USA Today, “U.N. : Al-Qaeda Terrorists Trained, Bough Weapons in Somalia”, 4 November 2002. Office of OIC Prosecutions, High Court- Nairobi, Kenya. Superintended John Muthusi Mulaulu Statement, Anti-Terrorism Police Unit, Nairobi. Office of OIC Prosecutions, High Court- Nairobi, Kenya,.” Anti Terrorist Police Witness statements-Suicide of al Qaeda suspect – Mombassa” in NO. 219209 MR. JOHN MUTHUSI MULAULU. Office of OIC Prosecutions, High Court- Nairobi-Kenya, Omar Said Omar police statement. Three of the attackers, known to be involved in the 1998 bombing of the U.S embassy in Nairobi. Office of OIC Prosecutions High Court Nairobi, Kenya,”Government Chemist Department Analysis”, report Reference No. : L.4/02, KIJIPWA INQ.12/2002. Ibid. Kenyan Police Sketch Of The Paradise Hotel Scene, Exhibit Memo Form, General View of The Scene, 2 December 2002. Office of OIC Prosecutions High Court Nairobi, Kenya,”Government Chemist Department Analysis” Report Reference No. : L.4/02, KIJIPWA INQ.12/2002 and Kenya Police Report of Examining Officer CID/F’ ARMS LAB/635/2002 & LAB 239/2003. Arrested in 27 March 2007 was handed over to American investigators who transferred him to Guantanamo Bay, Cuba. BBC News website, “Profile: Kenyan terror suspect”, 27 March 2007. http://news.bbc.co.uk/1/hi/world/africa/6500333.stm. See also Al Jazeera TV, “Kenya suspect moved to Guantanamo”, 27 March 2007, http://english.aljazeera.net/news/americas/2007/03/200852512583876870.html. Omar Said Omar police statement. Office of OIC Prosecutions, High Court Nairobi, Kenya, Paradise Hotel Bombing Trial, Documentary/exhibit evidence bundle, C/O BOX 84996. The Arms Control Association," Countering the MANPADS threat strategies for success", September 2007. http://www.armscontrol.org/ (Accessed 25.9.2008). Shaul.Shay, The Shahids: Islam and suicide attack, (Interdisciplinary Center of Herziya Project, 2004), p.134. Kuhn, H.D,"Mombassa attack highlights increasing MANPAS threat", Jane's Intelligence review, vol.15.no.2 (Feb.2003), p.29. Designated by the US as a foreign terrorist organization on 29 February 2008. BBC News website, “Profile: Kenyan terror suspect”, 27 March 2007. http://news.bbc.co.uk/1/hi/world/africa/6500333.stm. Al Jazeera TV,”Kenya suspect moved to Guantanamo”, 27 March 2007, http://english.aljazeera.net/news/americas/2007/03/200852512583876870.html. Office of OIC Prosecutions, High Court- Nairobi, Kenya, written statement superintended MR. JOHN MUTHUSI MULAULU, ANTI-TERRORISM POLICE UNIT. Office of OIC Prosecutions, High Court- Nairobi, Kenya,.” Anti Terrorist Police Witness statements-Suicide of al Qaeda suspect – Mombassa” in NO. 219209 MR. JOHN MUTHUSI MULAULU written statement. The author interview with former top ranking Mossad official.14 September 2009. Office of OIC Prosecutions High Court - Nairobi, Kenya, “Further Statement of Inspector Paul Mumo”, 3 September 2003. Fazul Abdullah’s cellular communications revealed that he communicated with Mohammad Kubwa, a local Kenyan member of the network, and with two other local collaborators, Aboud Rogo, and Hania Rogo. Another mobile phone used by Fazul Abdullah was used to communicate with mobile number 0722-669566, held BY A local Kenyan collaborator NAMED Kubwa Mohammad Seif. Office of OIC Prosecutions, High Court - Nairobi, Kenya, police inspector Paul Mumo statutory declaration, 3 April 2003, CID. HQRS. General Attorney Indictment, Police Case No. 312/318/2002 in The High Court Of Kenya At Nairobi, Criminal Case No. 91 of 2003. (Office of OIC Prosecutions, High Court Nairobi). According to statutory declaration given by inspector Paul Mumo, criminal investigation department, 312/318/02 (3.4.03 CID.HQRS),Kenyan national Fatuma Said Saggar married Mustafa Mohammad Fadhil, an Egyptian national, and a wanted Al-Qaeda terrorist for the 1998 bombing of the U.S. embassy in Nairobi.Fatuma Ahmad, a local Kenyan female married Saleh Nabhan. Amina Kubwa,a Kenyan national Fazul's second wife, is the daughter of local Kenyan Al Qaeda collaborator Kubwa Mohammed, married Fazul Abdullah Mohammed in late December 2002. Paradise Hotel Bombing Trial, Copy of Judge’s File, "Witness evidence bundle", Office of OIC Prosecutions, High Court- Nairobi, and Kenya.p.92. Al Quds Al Arabi Newspaper, “Nass Bayan al-Jabhah al-Islamiyah al-Alamiyah li-Jihad al-Yahud wa-al-Salibiyin” (Declaration of the World Islamic Front for Jihad against Jews and Crusaders), 23 February 1998, p.3. "Jaish Falastin Yatabana Hugumei Kenya" (Palestine Army claims responsibility on Kenya attacks). Islamonline.net, 29 November 2002.
 http://www.jehad.net/index.htm 8 December 2002, also Financial Times, “Al-Qaeda Claims Responsibility for Kenya Attack”, 8 December 2002. Ha’aretz, “Qaeda claims link to Kenya attacks”, 3 December 2002. Gilles, Kepel,"The war for Muslim minds: Islam and the West", (Harvard University Press, 2004), pp.126-128. The author interview with police provincial commissioner of the Nairobi area. June 2009. Ibid, p.4. See also, the author interview with a group of police commitioners, Nairobi, June 2009. The International Maritime Force adjunct of “Operations Enduring Freedom” was launched by the U.S in response to the 9/11 attacks. See also, ‘Combined Task Force 150’, US Fifth Fleet Combined Maritime Forces. http://www.cusnc.navy.mil/articles/2007/162.html. Also‘Coalition Naval Force Secures Energy Assets‘, Gulf Times, 13 December 2007, CHINFO News Clips, 13 December 2007. In January 1973, the Palestinian "Black September" terror organization smuggled fourteen SA-7 missiles into Italy, within a plan to attack the Israeli Prime Minister's airplane then-Golda Meir.In 25 January 1976, "Baader Meinhof" group members (with PLO associate Wadia Hadad), were arrested during an unsuccessful attempt to gun down an El Al Israeli airliner at Nairobi Airport with Soviet-made Strella ground-to-air missiles.